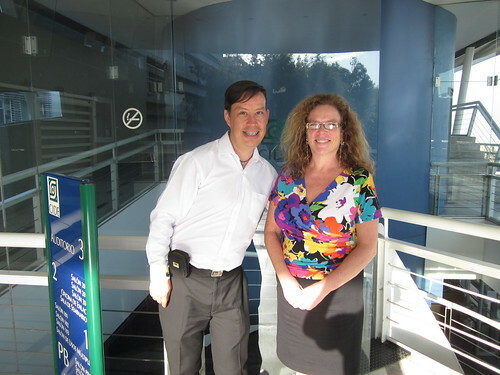 I had the pleasure to host Dr. Kathryn Harrison (Professor, Department of Political Science at The University of British Columbia) at both campuses of CIDE, Santa Fe in Mexico City and Region Centro in Aguascalientes. Kathy has been a former professor, mentor, and then (when I became a faculty member at UBC Political Science), a fellow colleague, and someone whose work has inspired me to work in the comparative public policy field. Full disclosure: I love Kathy’s work and I have co-authored papers with her too, and I’m going to continue doing so in the near future on the comparative politics of carbon pricing in Mexico. Kathy came to visit from Vancouver (Canada) to Mexico City and Aguascalientes (Mexico) as an invited seminar presenter within the framework of the Permanent Seminar “New Frontiers in Environmental Policy Research“, which is a seminar series that I host every month since last September (2012). 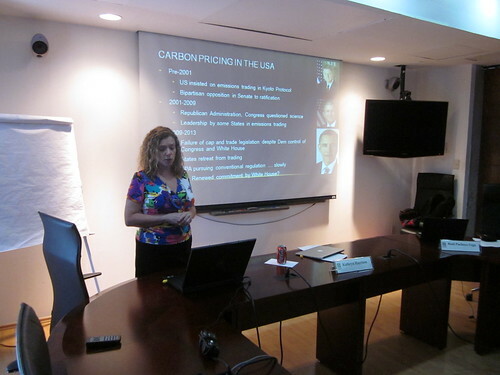 She presented a paper (with slight variations for each audience) on the comparative politics of carbon pricing in Canada, the United States and Mexico. I found the paper fascinating and Kathy’s presentations incredibly insightful, and at both locations, we had excellent attendance and wonderful questions. I am particularly proud of how my colleagues at CIDE Region Centro asked questions that were intellectually challenging and stimulating for Kathy, and that those questions also helped me frame where my own research is located. Mexico is still in the very, very early stages of establishing carbon pricing schemes and thus there is fertile ground on undertaking this kind of research. What I find also very interesting (and do note, I’m not a specialist in climate politics at all) is that, from what Kathy shared with us, once a carbon tax is implemented, it’s hard to get rid of it. You could almost see it from a path dependency perspective. Overall, it was a pleasure to have Kathy visit and share her scholarship with my colleagues, CIDE students, research assistants and members from the public. I think it was a great experience overall, especially to my students and research assistants as participating in a seminar of this calibre enables them to experience the broad variety of scholarship that is available in the field of environmental policy. 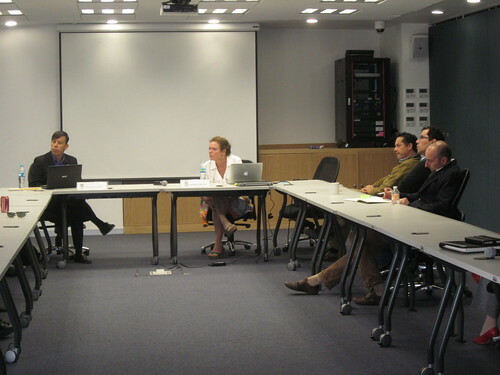 Tagged with comparative politics of climate change, comparative public policy, research, seminar.